Permanent polishing systems which includes grinding, hardening, polishing, sealing & burnishing to achieve the ultimate flooring finish! The permanent polished system is a perfect solution for all commercial flooring spaces including retail, industrial and office workplaces as well as schools. This system is also a perfect choice for a new home build due to harder wearing, longer life and energy saving benefits from passive heating which is great way to future proof your home and reduce your carbon footprint. 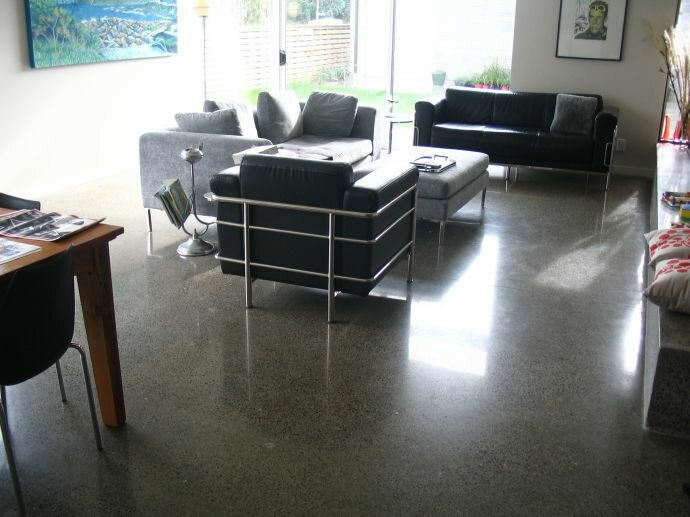 For a long life durability, low maintenance and long lasting finish that is stylish, contact us about polished concrete flooring. Concrete block walls can also be ground (honed) to turn them into a striking internal or external feature wall in your home or office. Natural Stone Grinders are applicators for Stoanz Plastering Systems Limited, which is the only product recommended by the Council to pass the "Code of Compliance". The block walls are also great for passive heating and energy saving. If your concrete floors have lost their shine or started to show signs of wear, it's probably time to have them re-glazed and recoated. 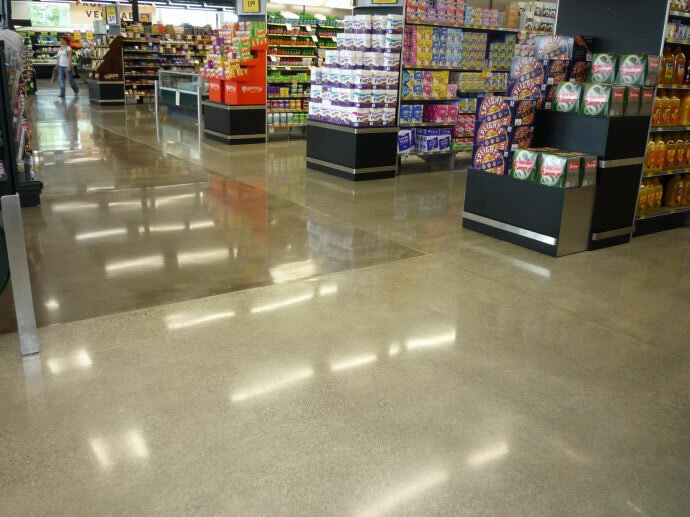 This rejuvenating process is extremely cost-effective and can add years to the life of your concrete flooring, rather than regrinding back to the concrete substrate. Ongoing maintenance programmes can be set up using acrylic polish products for high-traffic areas to ensure your concrete coating is always looking great for your customers. 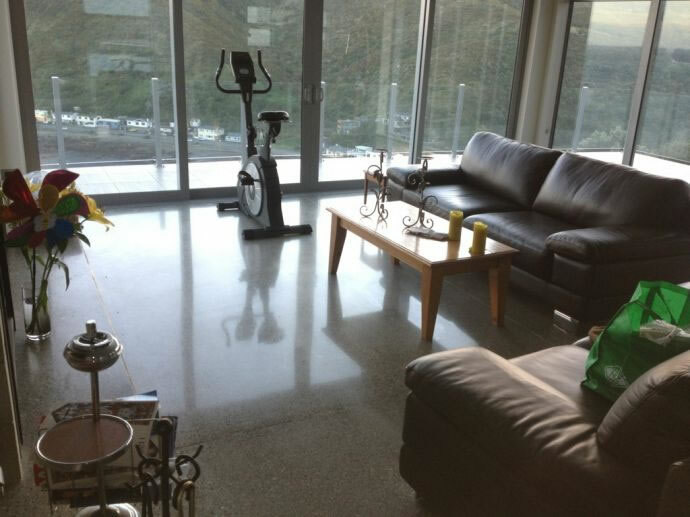 We turn concrete floors into beautiful stylish architectural features.